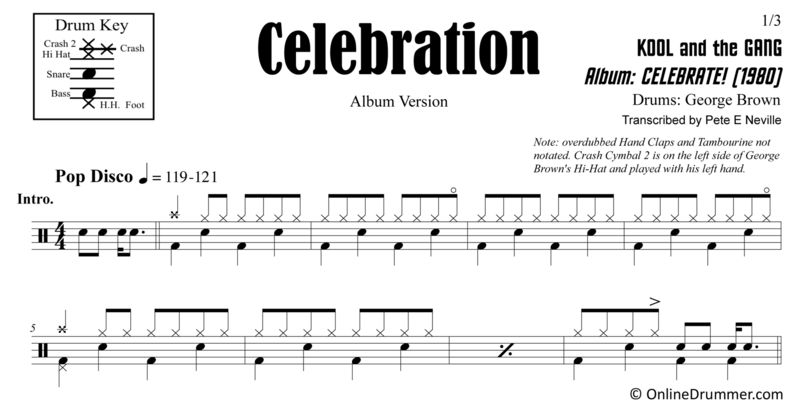 The full drum sheet music for “Celebration” by Kool and the Gang from the album Celebrate! (1980). Get your disco on with Kool and the Gang’s “Celebration.” This song is great for working on hi-hat articulation. George Brown uses 3 levels of dynamics: closed, open, and loose hi-hat.